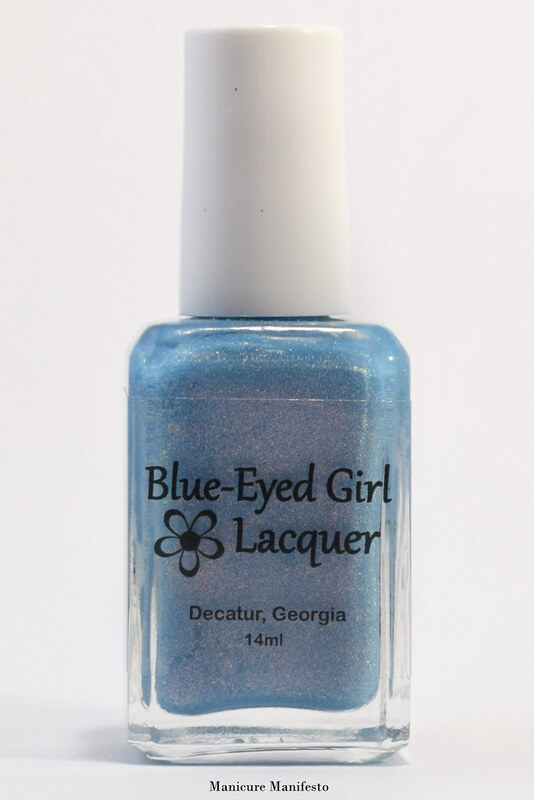 Today I have Blue-Eyed Girl Lacquer's contribution to the first ever Polish Pickup release inspired by famous works of art to share with you. Unlike most nail polish limited edition boxes, Polish Pickup allows you to pick and choose the shades that appeal to you. I absolutely love the concept and picked this up along with a couple other polishes from the initial release. Inlet At Dusk was inspired by the Quartet of Calanques paintings by Lucien Levy-Dhurmer which featured rocky inlets at various times of day. 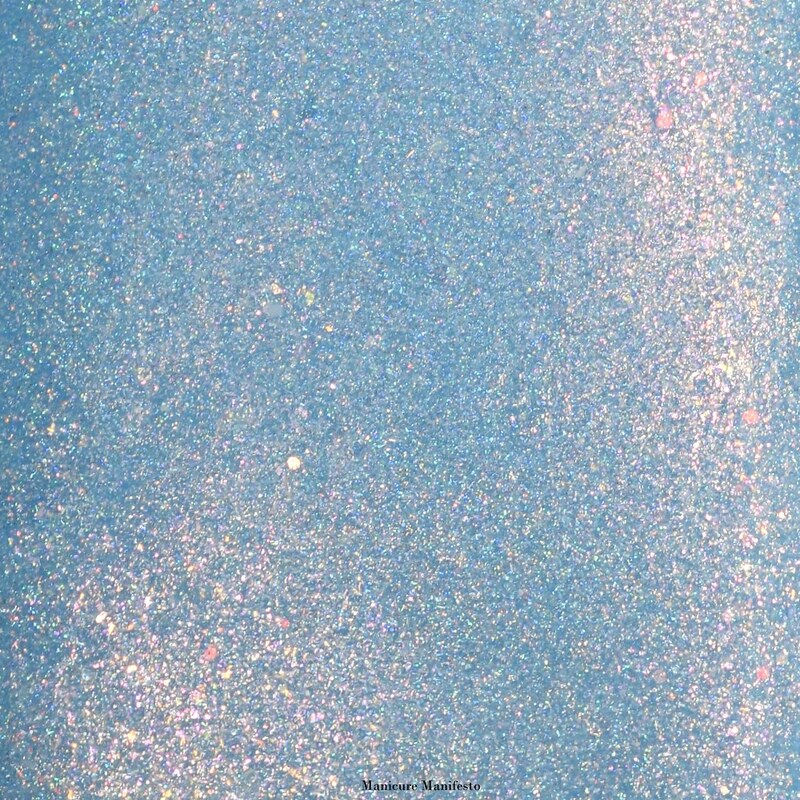 Inlet At Dusk features a soft pale blue base with a suble pink flecked shimmer and a soft scatter holo. The formula was very easy to work with and required two thin coats to become opaque. It dries to a satin finish so I recommend a glossy top coat to really bring out the shimmer and holo. 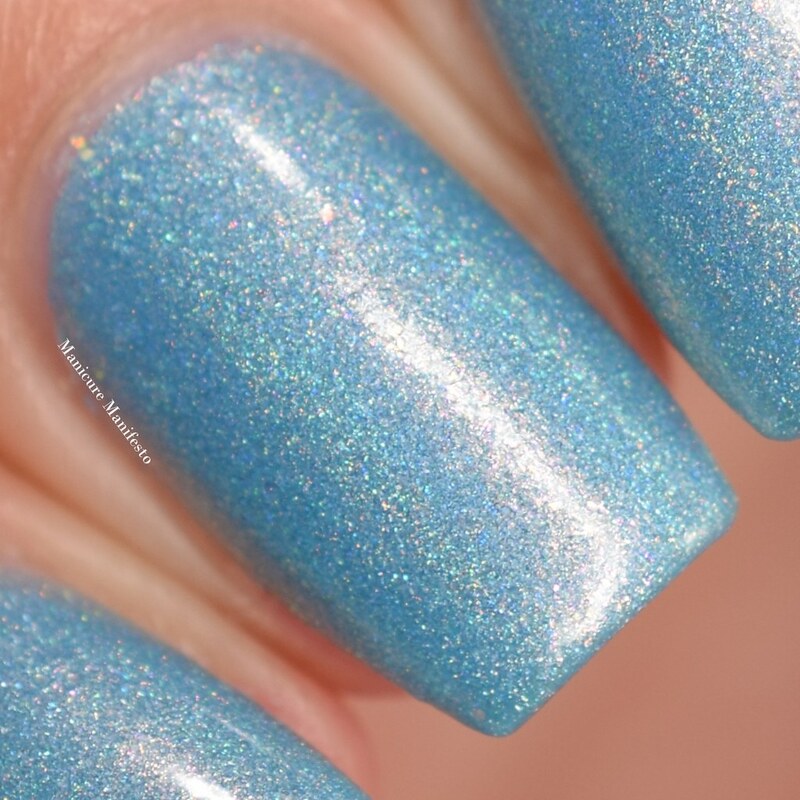 Photos show two coats of Inlet At Dusk with one coat of Girly Bits Glitter Glaze in daylight spectrum lighting.